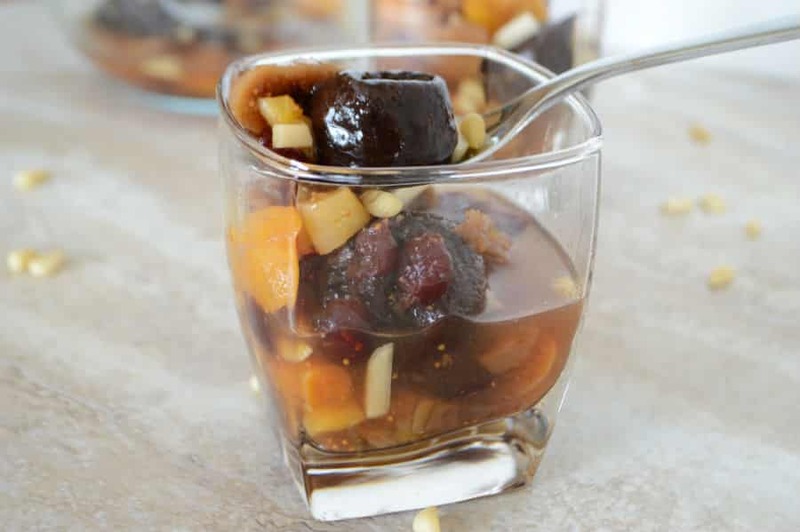 Dried fruit compote or Khoshaf, a very enjoyable, satisfying dried fruit and nuts compote. An Egyptian authentic compote recipe that goes wild especially during the holy month of Ramadan. 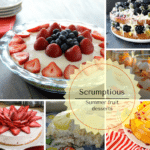 Ramadan food is very festive and this dry fruit recipe is one that shows up during this month.Sweet, filling and energy boosting after a long fasting day. I was not a big fan of khoshaf when I was growing up, I bet all kids are as they do not want to waste their time eating dry fruits :). Yest, this is an elegant, fancy dish that you can flavor with dozens of Middle East flavors. 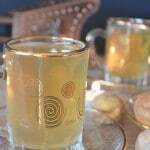 I’ve made it this time with orange blossom water but think rose water, cardamom, saffron.. etc. Adding nuts to the compote it totally optional, but highly desirable. It adds taste, texture and makes the recipe more filling. Which is the best dry fruit? Dried fruits include many vitamins and fibers. Apricots, prunes and figs are among the healthiest dried fruits you can consume. Source. Which time is best to eat dry fruits? Obviously, you can eat dried fruits any time of the day but, dried fruits contain more calories than the fresh fruits. Hence it is recommended to eat them in the morning. Dried fruits are high in fiber, vitamins and minerals. Some studies showed that consuming raisins may help improve blood sugar control, lower blood pressure and blood cholesterol. Source. Which dry fruit is good for weight loss? On terms of calories dried apricots are the least followed by dates. Prunes and figs are a little bit higher. Source. 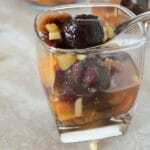 An authentic Egyptian delicious sweet dried fruit compote to boos your energy especially during summer days. 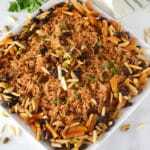 An authentic Egyptian dried fruit recipe. Sweet, nutritious and very filling. 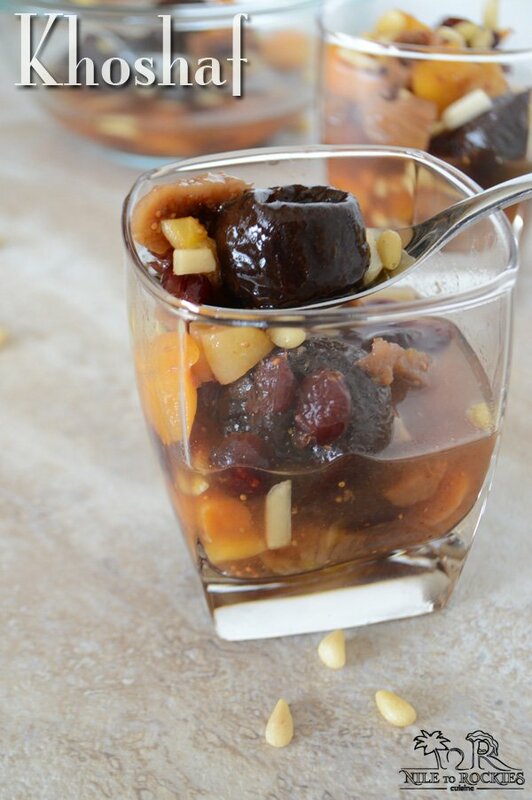 1 cup of dried pitted prunes plums. 5 cup hot water or to cover. Nuts of your choice preferably almonds and pine nuts. Cut the fruits to equal size, I like keeping the plums whole. In a bowl, add all the dried fruits, then cover with hot water. Add in the sugar if using and the orange blossom water. Add the nuts and mix everything well together. Chill in the fridge for 3-4 hours at least before serving. Scoop in glasses and serve cold. Note1: You can flavor the compote however you like. Vanilla, cinnamon, cardamom, rose water are among flavors you can add. Nutrition facts are calculated using raisins, 1/4 cup of sliced almonds and 1/4 cup pine nuts. Please check the nutrition disclaimer policy. This sure looks delicious…and like the idea of using dried fruits. Looks wonderful! On my way over to read all about it right now . . .
Doesn’t this look like a delicious and healthy recipe Amira! I will look forward to trying!